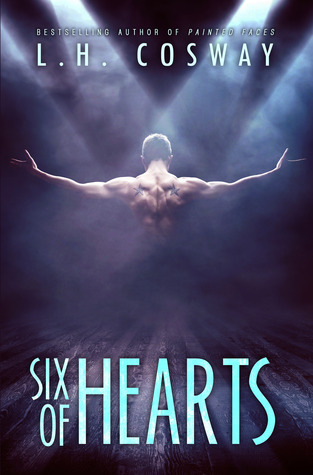 Resume: Six of Hearts is a stand-alone that shows us the story of Jason Fields and Matilda Brandon. The illusionist Jay appears at Matilda’s father company seeking for help in defamation lawsuit against a newspaper. After her father declines to represent Jay, he offers him a bedroom to rent which Jay accepts. What happens next is a start of a friendship that becomes love mixed with tricks and other illusions. What Matilda doesn’t know, is that Jay has secrets and those secrets involves both. The story is told from Matilda’s POV and it was a pleasure. She is so clever and loveable. Jason is a big mistery and you have no access to his head but he makes you fall in love with him because of his illusions and protection. I loved how these two characters were created and how they grew. Their connection is so strong, it makes you want to live it too. The story itself is really good. Making Jason an illusionist was a fresh decision and really makes people curious to keep reading. The only thing I didn’t like was the pace of the story. It took so many pages for their relationship go to the next level. Not that I don’t appreciate a story where both characters takes time to build their relationship but this one felt too slow. Specially how long it took for Jay to tell his secrets to Matilda and how his revenge took so much time to happen and then it ended too quick. This is a mysterious story with an explosion of feelings and tricks.